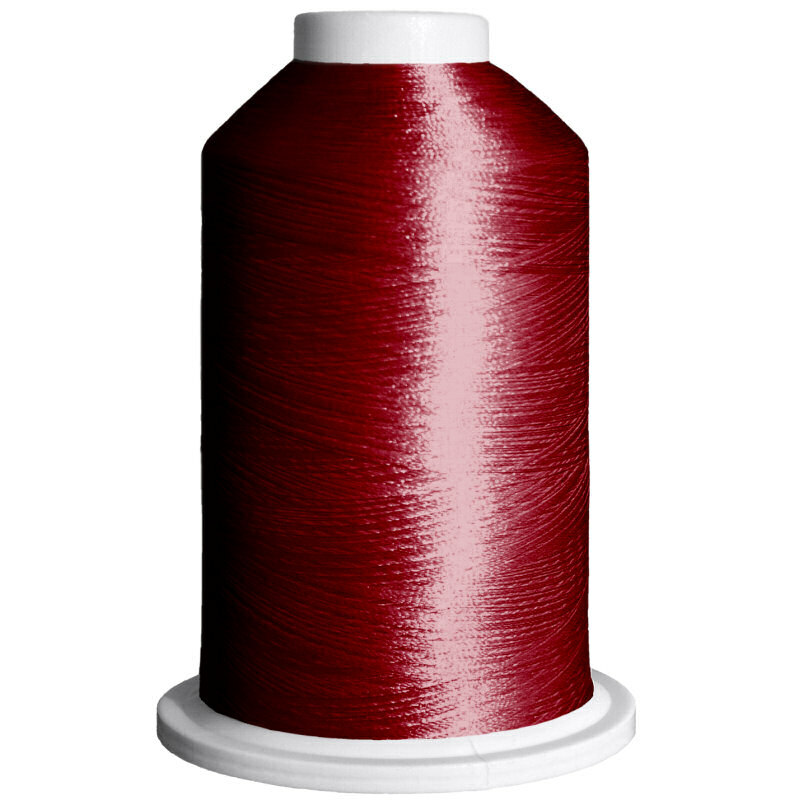 Endura Polyester Embroidery Thread, E5519, Crimson Fire is extremely colorfast and will hold up well to many wash cycles. Though silky soft to the touch, this thread features a superior tensile strength and balanced twist to prevent shredding and thread breaks, allowing for trouble-free high speed embroidery. IMPORTANT: Though we've made every effort to display thread colors as accurately as possible, we cannot guarantee color matches based on these photographs. For best color-matching results, please order a thread chart. Machine embroidery thread #40. 5,000 meter cone. Endura Polyester Embroidery Thread, Crimson Fire, E5519 is extremely colorfast and will hold up well to many wash cycles. Though silky soft to the touch, this thread features a superior tensile strength and balanced twist to prevent shredding and thread breaks, allowing for trouble-free high speed embroidery. IMPORTANT: Though we've made every effort to display thread colors as accurately as possible, we cannot guarantee color matches based on these photographs. For best color-matching results, please order a thread chart. Machine embroidery thread #40. 5,000 meter cone.